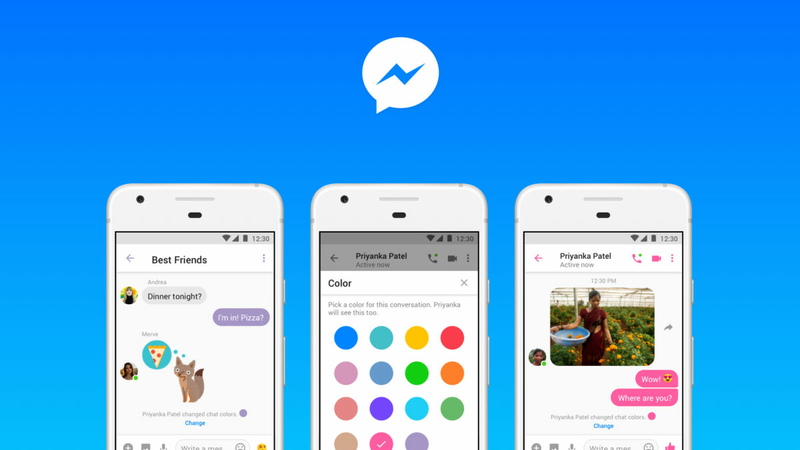 Facebook has announced that Messenger Lite, the slimmed down version of Facebook’s popular messaging app, has started receiving the new update that brings features like animated GIFs support and various chat customisations. The new features include the option to select different colours for each chat and set a nickname for friends and family members to make it more personal. Despite the new features, the Lite app works efficiently with slow internet connections and older Android devices, claims Facebook. Previously, Messenger Lite could receive GIFs, but there was no option to send any. The new update does not provide any built-in GIFs, but users can search them through the third-party keyboards or manually. Earlier this year, Facebook had introduced the video calling feature so that people could get a live face-to-face chatting experience even on basic devices. “In addition to making continuous investments to the quality and speed of Messenger Lite, we introduced video calling this year because having lower bandwidth or an older Android phone shouldn’t mean you can’t chat face-to-face live with the people you care about most. We are also making investments to more promptly address bugs or violating content so people can have the most positive experiences possible in Messenger Lite. We look forward to sharing more features and improvements in 2019.”, Facebook stated in an announcement posted on its website. With the latest update, the app although has become feature-rich, the size of the app is still limited to within 10MB, which allows fast download, less storage space and swift performance. The full version of Facebook Messenger comes with the size of around 47MB, which is too large for the device with the older Android versions or slow connections. It has often been criticised for being unnecessarily bloated. However, the Messenger Lite, being a stripped version, provides basic messaging features, which has now been further spiced up with the update.